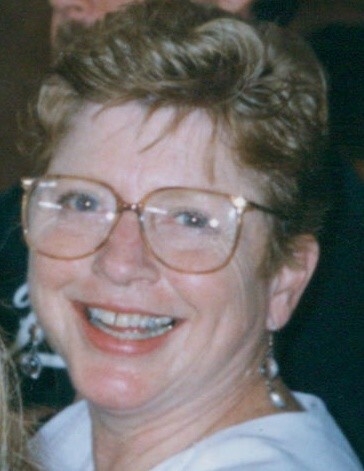 Carol McComas Beller, of Parkville, MD, passed away on February 06, 2019, loving wife of the late Neil Ronald Beller, Sr.; devoted mother of Jan C. Goedeke and her husband John, Neil R. Beller, Jr., and his wife Kathryn, Karen B. Waldon and her husband Steve and David A. Beller and his wife Erin; beloved "Grandma Glasses" and "Grandma Daisy" of Johnny, Kevin, Jenna, Elizabeth, Natalie, David, Bailey, Jillian and Matthew; loving Great Grandma of Paisley, Evie, Titus, Rhett, Miller and Reid; dear sister of Virgina Litty and June Kyliavas; beloved "Aunt Carol" of Randy, Ivy and Jessica; cherished daughter of the late George A. and Marjorie C. McComas (nee Cheek). Also survived by many other loving relatives and friends. Family and friends will honor Carol's life at the family owned Evans Funeral Chapel and Cremation Services – Parkville, 8800 Harford Road, with a Receiving of Friends on Tuesday, February 12, 2019 from 3-5, 7-9 P.M. A Funeral service will be held Wednesday, February 13, 2019 at 11AM. Interment to follow at Parkwood Cemetery. Memorial contributions in Carol's name may be made to the Senator Bob Hooper Hospice House, 2007 Klein Plaza Dr, Forest Hill, MD 21050. Memory tributes may be sent to the family at www.evansfuneralchapel.com.